Add butter, seasonings, milk, whipping cream, eggs, salt and cheese. Mix well. Place in a greased dish (mine was 9"x9") and bake at 350 degrees F 20 - 25 mins or until golden brown. You have a choice of presentations to bake the herbed duchess potatoes. 1. You can pipe the potato onto a baking sheet using a large star tip. 2. Place into mounds and just mark ridges using a fork. If you're creative you can still create the swirl effect. 3. 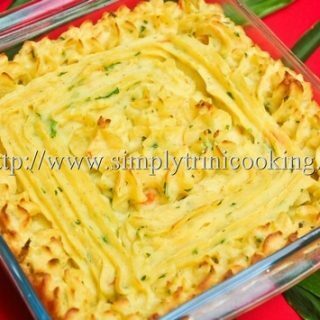 Place the mashed potato in a greased baking dish, like a casserole.